The head tilt bike leash allows you to take your furry companion along on bike rides while providing healthy exercise at the same time. 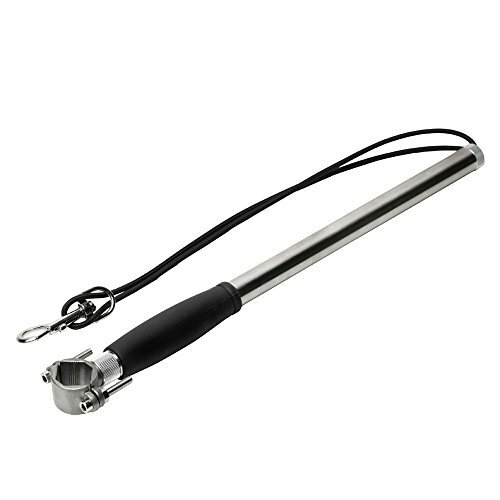 Constructed from high-strength stainless steel, the 16 -in. Tube features 18 to 40 inches of adjustable leash, keeping your best friend a safe distance from bike wheels. After initial installation, the leash can be quickly and easily detached from the bike, allowing owners the versatility of walking their dog or taking them for a ride. If you have any questions about this product by Head Tilt, contact us by completing and submitting the form below. If you are looking for a specif part number, please include it with your message. Pet Attire Styles Plaid Bones 4 Foot Dog Leash with a Width of 3/8 in.